The introduction of computerized systems in medicine started more than a decade ago. The first applications were mainly focused on archiving and the general database management of patient records with the aim of building fully- integrated Hospital Information Systems (HIS) and fast transfer of data and images (e.g. PACS - Picture Archiving and Communication Systems) between HIS. In parallel with this more general development, specialized computer systems were built to process and enhance image data from such systems as Magnetic Resonance Imaging (MRI) and Computed Tomography (CT) scanners. The use of enhanced CT and MRI images led to the birth of Image Guided Surgery (IGS). Other terminology for similar concepts has since been used, e.g. Computer- Assisted Surgery (CAS), Computer Integrated Surgery and Therapy (CIST) (Lavallée et al, 1997) and Computer-Assisted Medical Interventions (CAMI). In this chapter, we shall look mainly at Computer-Assisted Surgery (CAS) systems and related systems which are aimed at the training of surgeons and the simulation and planning of surgical interventions. 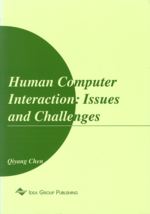 The emphasis will be on the Human-Computer Interaction (HCI) aspect rather than the technological issues of such systems. The latter will be briefly discussed in the next section, to make the reader familiar with the terminology, the history and the current state of the art in CASPIT.